“Well I did it. It was the hardest thing that I’ve ever done in my life. On Monday 11 August at 5:05am I started swimming front crawl in the dark with no wet suit, two glow sticks, goggles and a swim hat. 19 hours and 32 minutes later I stumbled out to the finish at Ardlui shore in total darkness. I had completed 22 miles. “The weather was perfect really. Calm, hardly any wind, but with a water temperature ranging in between 13 -15 degrees I needed to grit my teeth and get on with it. I swim all year round and in all sorts of temperatures but because of the hot summer we have had it was difficult finding lakes and lochs cold enough to train in. 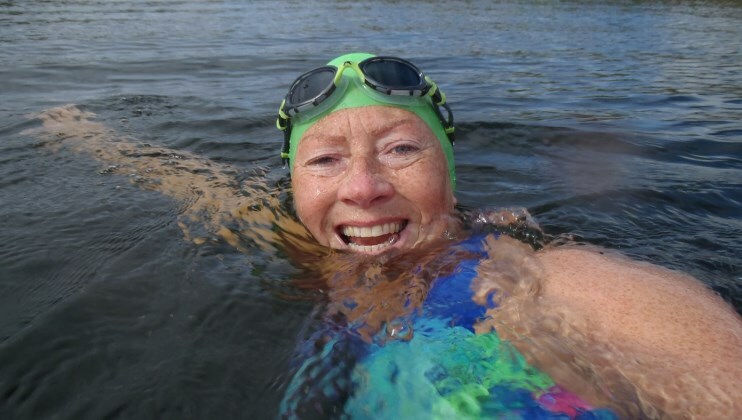 “I stopped every hour for about two minutes but no longer than that as I really started feeling the cold more, I treaded water while my friend and swim coach Janet Guy threw me my food in a container tied with a rope. I had hot and cold carbohydrate drinks, small pieces of banana, sports gel, chocolate, flap jacks, warm runny porridge with honey in, jelly, small sandwiches and chewable electrolyte tablets to prevent cramps. “I left it up to Janet on what choice I received depending on how I was. I have Crohn’s disease so I needed to be careful on how much sugary and caffeine feeds I was having so as not to upset my stomach. I tried to eat as natural as possible. Over the months of training I have tried different foods to find out what worked, what made me feel sick and what was the quickest to eat. “I felt like I was swimming in an infinity pool or one of those endless pools and I really thought I wasn’t moving. I even asked a few times ‘am I getting anywhere at all?’. Mentally I really had to dig deep and kept talking to myself to motivate and keep myself going. Like my nick name ‘Dory’ out of the film Finding Nemo, I was singing in my head ‘just keep swimming, just keep swimming!’. It got tough loads of times. 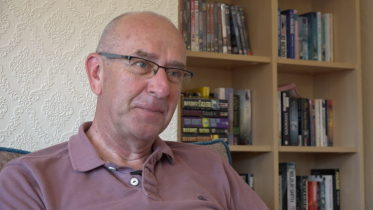 “The cold and the distance were never-ending, and I often thought about The Fire Fighters Charity and my dad (Geoffrey Bowes, a former Bolton firefighter). 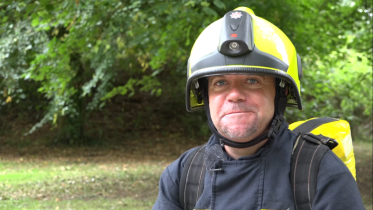 Fire fighters don’t get the chance to ‘just give up’ when they run into a burning building or turn up to a traffic accident where there are fatalities and horrendous traumatic scenes to deal with. They don’t know if they will come out alive themselves. That thought kept me going and believe me I thought of stopping quite a few times, then shouted at myself under water and screamed to myself ‘keep going, get it done, you’ve trained for this so SMASH IT’. “For the last three hours I was in total darkness. The boat cruised near me for safety. The car lights on the road looked like the lights shining from the ‘Ardlui Hotel’ which is where I was swimming too, but then the lights would diminish when they went around the corner. My heart sank hundreds of times until I heard them say ‘swim to those lights on your right’. My wonderful best friend and husband Tom and Janet’s husband Colin were holding torches and flashing them around so I knew where to swim too. “I kept thinking ‘when I get out, I want Tom to hold me like he’s never held me before’ and that kept me going. I finally beached myself on the shore and stumbled to my feet. 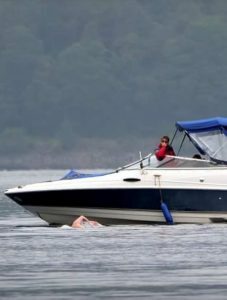 It wouldn’t be a ratified swim if I had got out of the water at any time, touched the boat or had assistance helping me out so I reminded them not to touch or help me out until I was three feet away from the water. “Tom flung his arms around me and I held him like mad. I asked them how long had I been swimming for and when they told me it was 19 hours I was totally gobsmacked. The quickest swimmer did it in nine hours and the slowest was 23 hours. 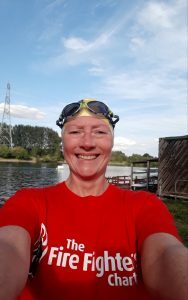 “Less than 60 people have swum the full length of Loch Lomond in one go without a wet suit, under Channel Swimming Association rules and I am now one of them. 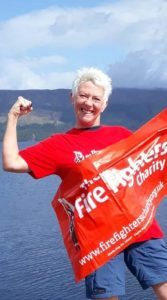 Carol has now raised more than her £2,500 goal and you can donate on her JustGiving page. If a 19-hour swim is too much for you, why not try our #My75Miles challenge instead?